Pasta is a terrific meal option because it’s inexpensive, easy to cook and makes for tasty leftovers. Even more, it's so versatile that you can make any dish flavorfully prepared to your liking. 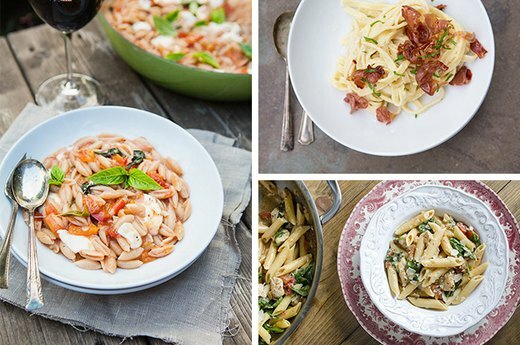 The next time you’re looking for an easy and filling homemade meal, try one of these 30-minute pasta recipes that will be sure to give Rachael Ray a run for her money. 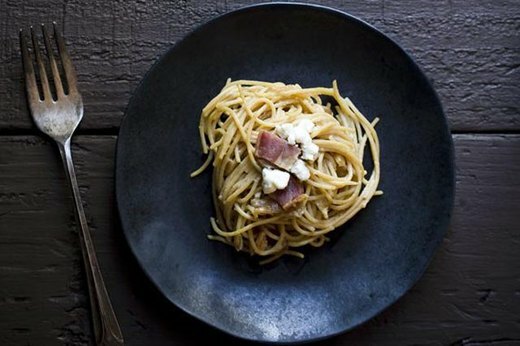 For a pasta dish that takes little effort to prepare, try this spaghetti with bacon, caramelized onions and goat cheese recipe. Safely boil your spaghetti while caramelizing the onions to save even more time. Then serve it with a generous topping of goat cheese and bacon for an impressive looking plate. 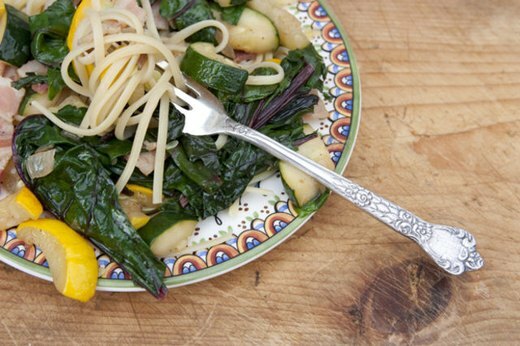 This linguine pasta makes for a refreshing weeknight dinner. By mixing summer vegetables -- such as zucchini, yellow squash and Swiss chard -- with bacon, you can serve up a well-rounded and colorful meal. 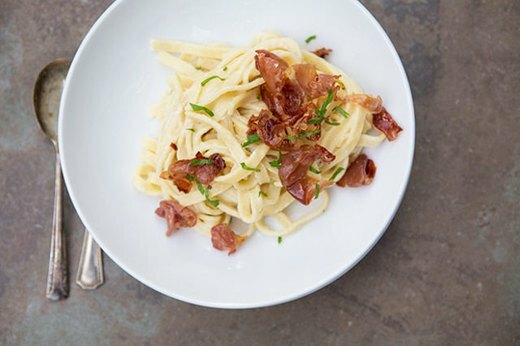 Prosciutto carbonara pasta is a deliciously filling comfort food that takes little time to prepare. The creamy egg sauce combined with crispy prosciutto and chives will have you and your loved ones finishing this meal as quickly as it took to make it. 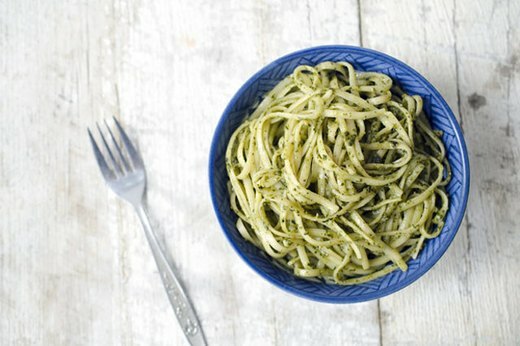 Step up your pasta game with your own homemade pesto sauce. 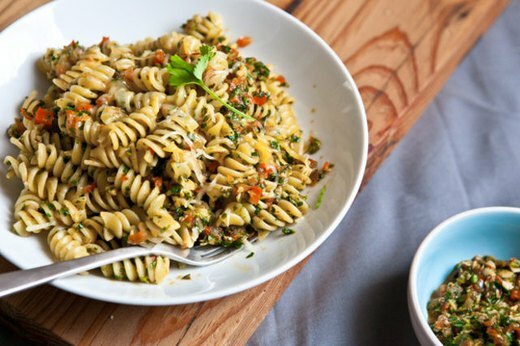 Combine toasted pine nuts, fresh basil, garlic, cheese and olive oil in a food processor. Toss with cooked linguine, and you’ll have a flavorful dish in no time at all. This classic Italian dish can be cooked at home in a pinch. 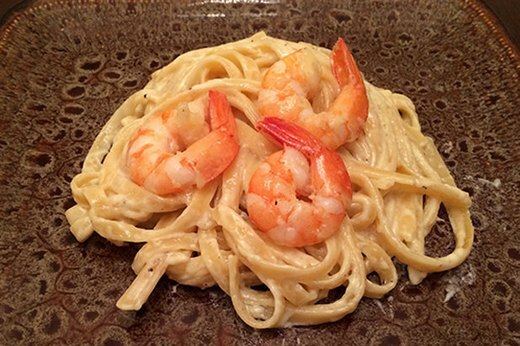 With just a few ingredients including shrimp, Parmesan cheese, heavy cream and garlic, you can easily make this pasta favorite any night of the week. Chipotle cilantro pesto pasta combines Latin American flavors and gives you a dish with a kick. You can save any leftover sauce -- and when you’re ready to eat, just boil your pasta and toss with the pesto for a quick and easy meal. This Caprese pasta recipe saves time by cooking the pasta and ingredients in the same pot, simultaneously. By simmering the uncooked pasta and fixings in red wine and water, the pasta will retain more flavor and will be ready in just 20 minutes. 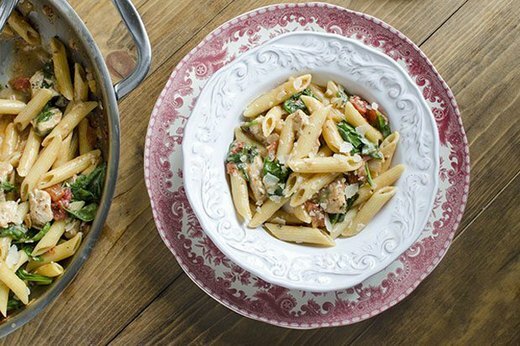 If you need to get dinner on the table fast, this chicken and spinach skillet pasta is a great option. Cook everything together in the same skillet, and in just a half-hour, you will have a hearty meal ready to serve.